EYOS Expeditions and the expedition yacht ENIGMA XK announced today a broad partnership that would provide the most luxurious expedition yacht experience in the world. Beginning with the yachtʼs upcoming Antarctica season, ENIGMA XK will work exclusively with EYOS on all its charters and introduce a level of luxury and adventure that until now has been unprecedented in expedition charter yachts. The 71-meter long ENIGMA XK, designed to sail in the roughest seas on the planet, was originally built as the Scottish Fisheries Agency Patrol vessel NORNA in 1988. Acquired by her current owner in 2011, she has been undergoing a three-year transformation from rugged government vessel into luxury yacht in La Rochelle, France. “Her long bow can pierce waves and her sturdy steel hull can safely punch through pack ice. 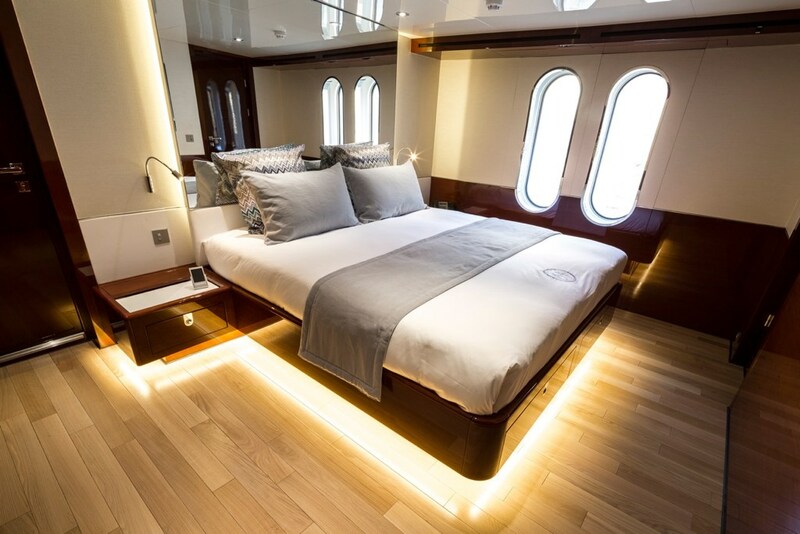 She is a well-equipped, go- anywhere yacht that will be just as comfortable navigating the Northwest Passage as calling at coastal villages in Papua New Guinea,” says Captain Iltud Orio. The EYOS-ENIGMA XK partnership will be broad-based and multi-faceted. As expedition operators, EYOS will work with clients on itinerary development, arranging logistical support such as private aircraft or helicopters, and acquiring necessary permits. In addition, two EYOS guides will be onboard to lead every expedition and ensure the safety of the clients in these extreme environments. 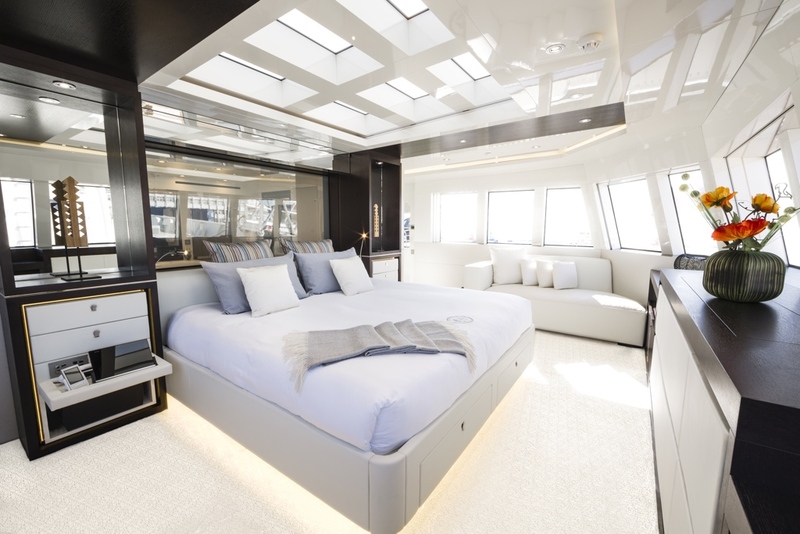 ENIGMA XK and her 21-crew members will set a new standard of luxury in expedition charter yachts. The Ownerʼs Suite offers dramatic, 180-degree views from just below the Bridge. A large upper saloon will feature floor to ceiling windows that will frame the stunning views of the passing landscapes. There is a massage room, gym and even a hair salon. A small spa-pool is located aft of a protected al-fresco dining area, and the yachtʼs many toys, including jeeps and kayaks, will ensure clients have the most complete and exhilarating exploration possible. ENIGMA XKʼs 15-foot draft and impressive 7,000-mile range mean she can set off on long explorations far away from supporting infrastructure. Her twin 3,000 horsepower Ruston engines propel her at 18 knots, and fin stabilizers help reduce motion when underway. EYOS Expeditions has been leading private superyacht expeditions since 2008, and the companyʼs co-founders, Tim Soper and Rob McCallum, have spent decades designing groundbreaking itineraries. EYOS Expeditions holds several ʻworldʼs firsts,ʼ and they routinely take adventurous guests to destinations rarely or never before visited by private yachts.